There are numerous opportunities to get involved in the life of the neighborhood. 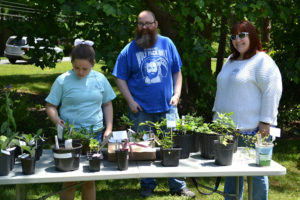 Whether you’re new to Grove Park or have lived here for years, an adult or a child, there’s a group or activity for you. Below is just a sampling of the ways you can meet neighbors, volunteer, play, and make a difference in your community. Join Us! Mentor a child or youth. Studies have proven that children who read proficiently by 3rd grade are better positioned for lifelong success. 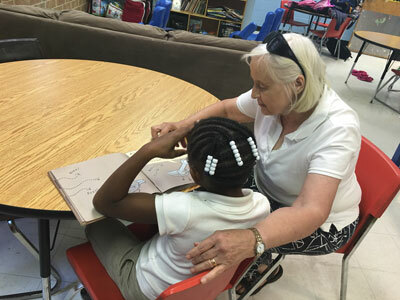 Grove Park residents support our CMS neighborhood elementary school, Joseph W. Grier Academy and the Salvation Army Boys & Girls Club on Milton Road through mentoring, reading buddies, test proctoring and more. Contact Mimi Davis at davisxyz@hotmail.com for more details. Grove Park Gazette Newsletter Contributors. We’re always looking for good story ideas and writers for our quarterly neighborhood newsletter. Contact us with your story ideas. Welcome Committee. Ensuring that new residents feel welcome is one of the most important ways that we can build a strong community. Contact the neighborhood association President to learn more. Volunteer for our annual events: Garden Tour, Parade, Winter Party, and more. 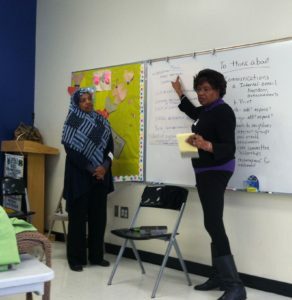 GPNA Neighborhood Meetings. The Grove Park Neighborhood Association meets quarterly at the Hickory Grove Recreation Center, 6709 Pence Road. Meet neighbors and stay up-to-date on current issues and crime updates. Meeting notices are posted at each entrance of the neighborhood at least one week prior to each meeting. Coffee & Cops Meetings. Join your neighbors for a casual meeting with our local CMPD officers. This is an opportunity to talk one-on-one with the CMPD Community Coordinators assigned to our neighborhood. Periodic meetings occur at one of Grove Park’s local restaurants. Locations and times vary in an effort to accommodate the diverse needs of our residents’ schedules. Residents are encouraged to purchase from the menu of the host restaurant in an effort to support our local businesses. Garden Club. 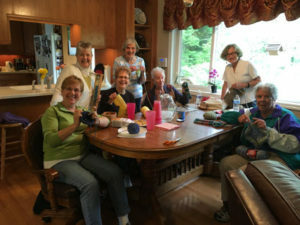 The Grove Park-Ravenwood Garden Club meets monthly, typically on a Saturday morning. Annual field trips and the club’s annual holiday brunch are a big hit. The signature event is the annual garden tour. Whether you have a green thumb or not, all are welcome. Meeting announcements are posted on Grove Park’s Facebook page. Spanish Speaking Women’s Group meets monthly to strengthen connections in our community. 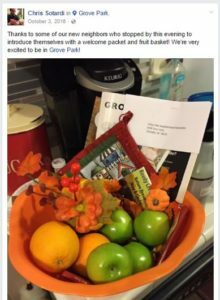 Meeting announcements are posted on Grove Park’s Facebook page.